Vapor IO was founded on the emergence of edge computing, on the belief that the cloud as we know it is fundamentally changing. For the last decade, “the cloud” has been dominated by very large, centralized data centers—warehouse-sized buildings often thousands of miles from the end user or device. New applications are demanding an evolution of the cloud. Applications that include augmented reality, IoT, and autonomous driving require low latency compute and nearby data processing. The centralized cloud is too far away. The cloud, in response is evolving towards a highly distributed architecture with thousands of small, micro-regional data centers being added at the extreme edge of the network. Vapor IO is focused on putting compute capacity at the edge of the network in order to substantially speed up interactions, remove latency, and reduce network and compute load back to the centralized data centers. In order to realize this vision, Vapor IO has created a suite of hardware and software that makes it possible to place highly-distributed micro data centers at the extreme edge of the network, such as at the base of cell towers and in wireless aggregation hubs. 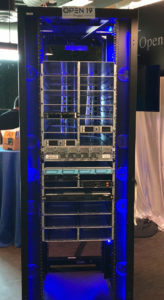 These Vapor Edge micro data centers will be one hop from the Radio Access Network (RAN) and meshed together with high-speed fiber for fault tolerance, migration of mobile workloads, and scale. 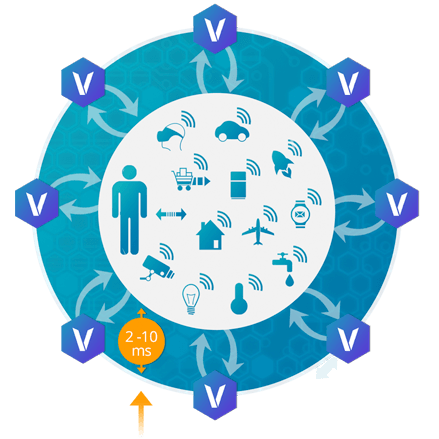 Vapor IO has also created Project Volutus, an initiative with Crown Castle, Intel, and Flex (also an Open19 founding member) that will deploy Vapor Edge facilities across an extensive network of cell towers, small cells and metro fiber, making them available on a carrier-neutral colocation basis. Just-in-Time Deployments. Building and servicing micro datacenters in thousands of locations requires field technicians in trucks. There’s no way around it. Truck rolls are expensive. These trucks can stock only a limited amount of equipment, and the amount of time spent at each location determines your economics. Open19, at its core, is about modular parts and the Open19 chassis design will make it possible for a technician to swap or install IT equipment in minutes. Lights Out Operations. Once compute has moved to the edge, where it’s disbursed across thousands of locations, network operations need to function in an entirely different way. Instead of 30 to 40 locations to manage, you now have to manage 30,00 to 40,000 locations. Fortunately, the vision of the Open19 Foundation encompasses a lot more than modular rack hardware. It also extends to software standards that will help bring mega datacenter efficiencies to more compact edge environments. Self-Driving Applications. Instead of building massive redundancy into the edge, you have to use software and artificial intelligence to deliver high availability. For example, if a cooling system starts to fail, you need to be able to detect those conditions and migrate workloads, maintaining your SLA with intelligent software. In the same way that Open19 software standards will enable lights out operations, these same capabilities will enable self-driving applications—applications that ingest real time sensor and environmental data in order to make adjustments with little or no human involvement. 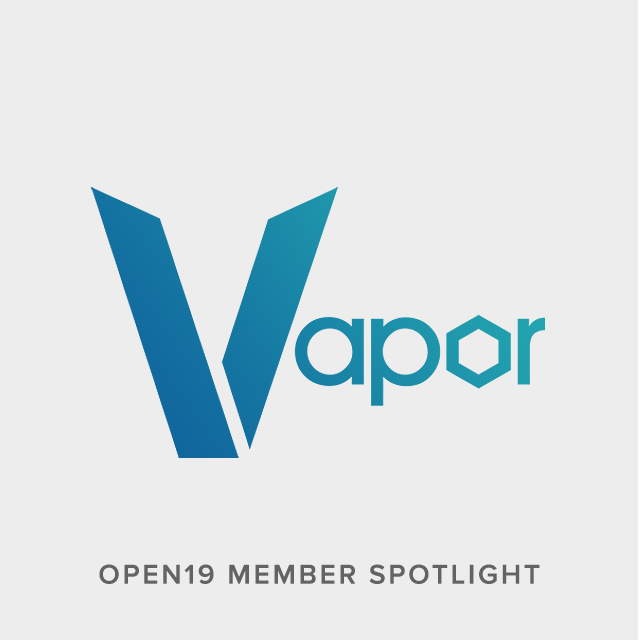 Open19 is the perfect vehicle to bring about some of the key standards for core-to-edge computing, which is why Vapor IO played a key role in the founding of Open19. Early conversations between Yuval Bachar, LinkedIn’s Principal Engineer of Data Center Architecture and father of Open19, and Cole Crawford, Vapor IO’s founder & CEO, led to the vision of an open source foundation that incorporates both hardware and software, and that also envisions a spectrum of deployment scenarios from core to edge. As the founding executive director of the Open Compute Project (OCP), Cole has first-hand experience in open source foundations for data centers. 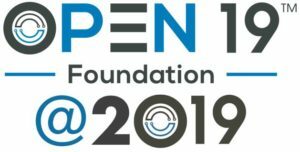 The founding partners of the Open19 Foundation saw the opportunity to complement OCP but also take a much more straightforward approach to standardization. 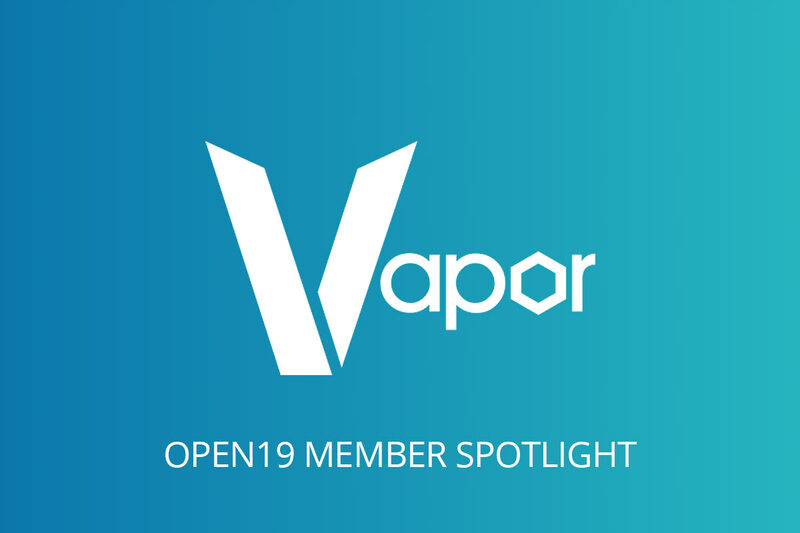 Vapor IO is proud to have helped form Open19 and the company looks forward to serving and contributing to the Open19 community for a long time into the future. For more information, see www.vapor.io or Open19 and the Dawn of Vapor Edge Computing as well as Cole Crawford’s Open19 Foundation Launch Event Presentation.